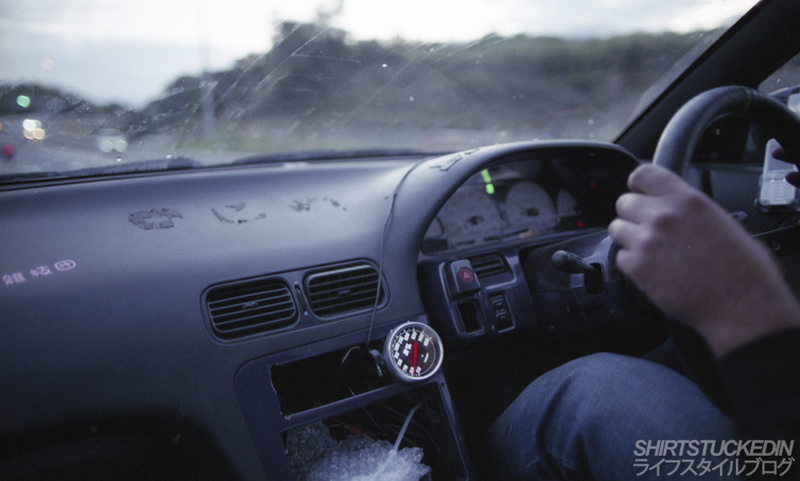 I love 35mm film so much. Here is a shot of TJ and Buckna sitting at the local ENEOS down the road from the K-Tour workshop in Sakai-shi. 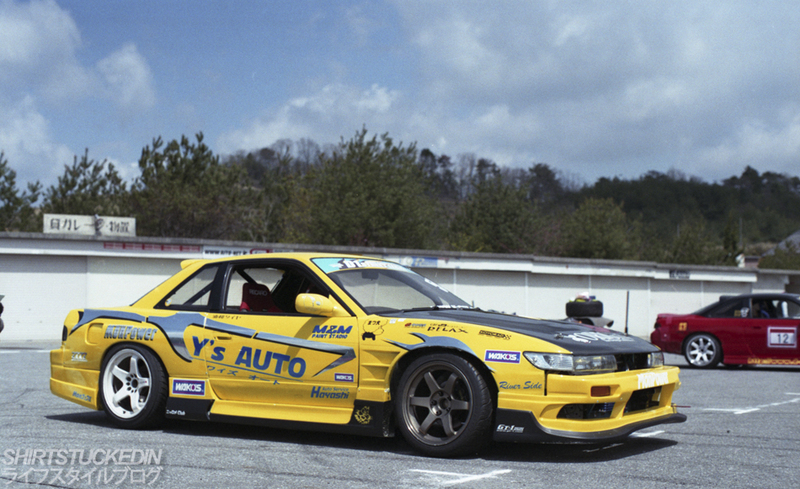 I decided last week that I would plug in my old external hard drive and sift through some photos from Nikko Circuit hoping to find some new images of a car I’m deeply in love with, that of course is Yoshida Yuichi-sans slammed S15 from SB Corporation. Out of all the images I’ve shot in Japan I think I can say this is my favourite now. 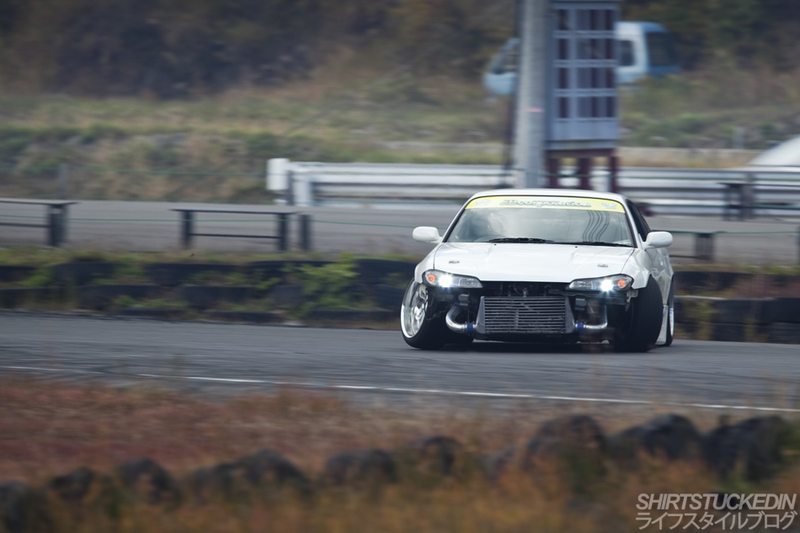 Here is another angle of the slammed and fitted S15 smashing through the back section of Nikko Circuit. 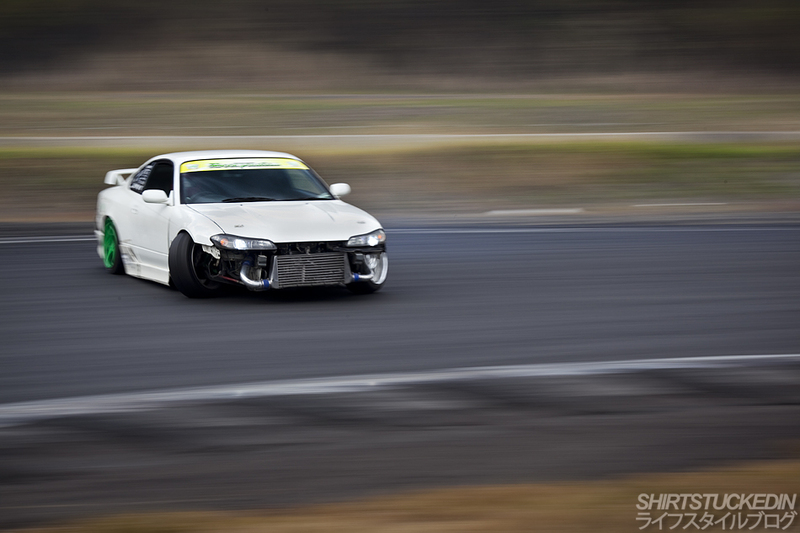 To see a spotlight I wrote on Speedhunters click here. 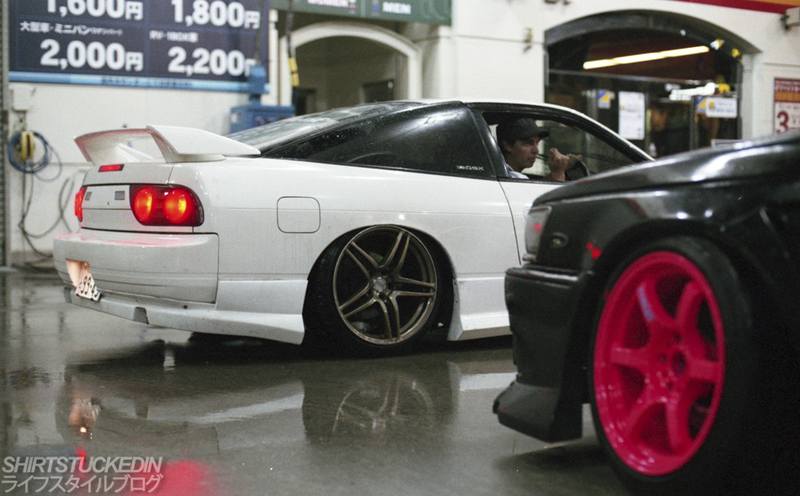 I’m so glad I shot film along with digital in Japan, I got so many different photographs compared to my DSLR. This PS13 is a perfect example of what I captured on film and not on a memory card. This is the Y’S Auto D1SL PS13 which was at the first Meihan day we attended – Meister Cup. Such a well presented car. One of the major workshops we visited in the Kansai region was of course Kakimoto Racing, the very famous workshop for making world renowned exhaust systems. It was a great change of pace in comparison to all the small drift garages we had been visiting over the weeks. It was a little unfortunate that we got told to leave as we arrived quite late in the afternoon with a bus full of tourists, at least I have some photos to remember it by. This has to be one of the best looking C33 Laurel’s I’ve ever seen. If I was to purchase one this is without a doubt the type of styling I would go for… Nothing can beat the 90s, period. 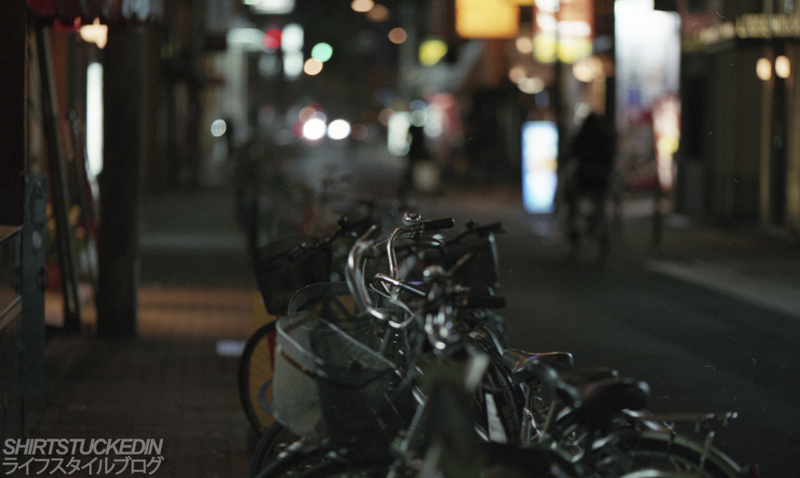 These are some of the very first photos I took in Osaka once I got off the plane in film! This first one was a vending machine right outside the airport doors whilst we were waiting for Shane in the K-Tour bus! This second photo is just a misc photograph of some bikes parked up on the footpath right outside out hotel in Shinsaibashi. 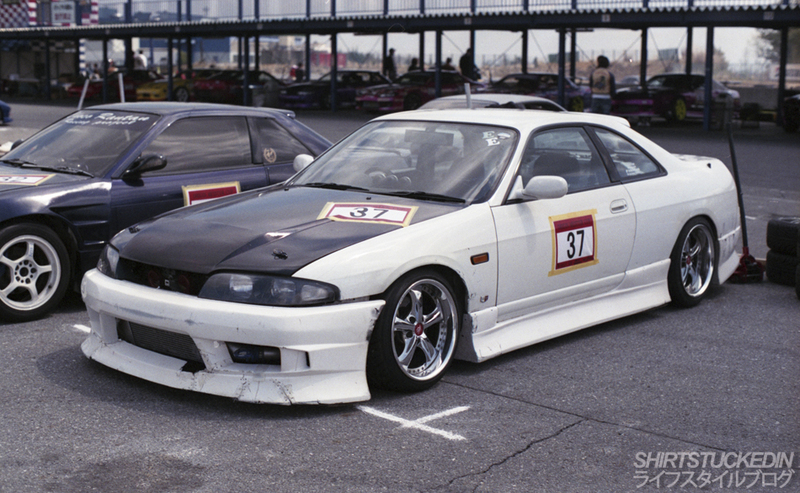 It’s not often you see tough R33’s nowadays but this particular one parked up at Meihan Sports Land definitely changed that! 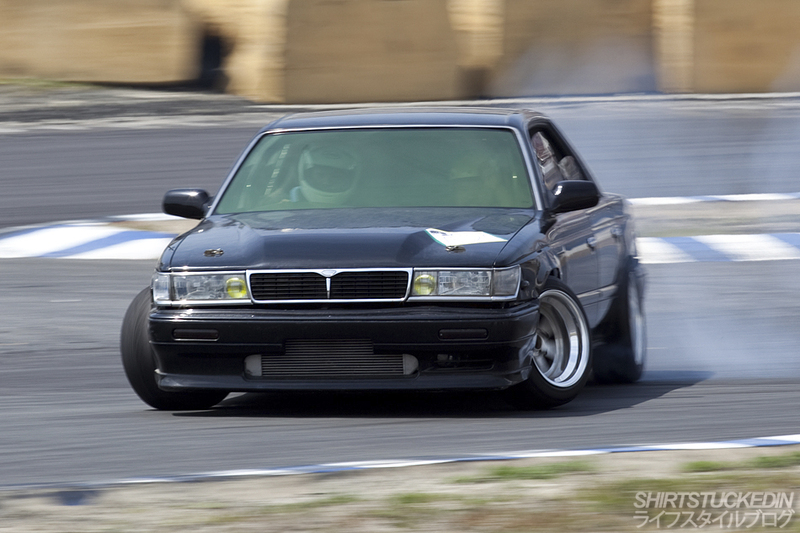 I have to say, one of the coolest things about going to Japan is seeing cars as low as the road driving on the roads. 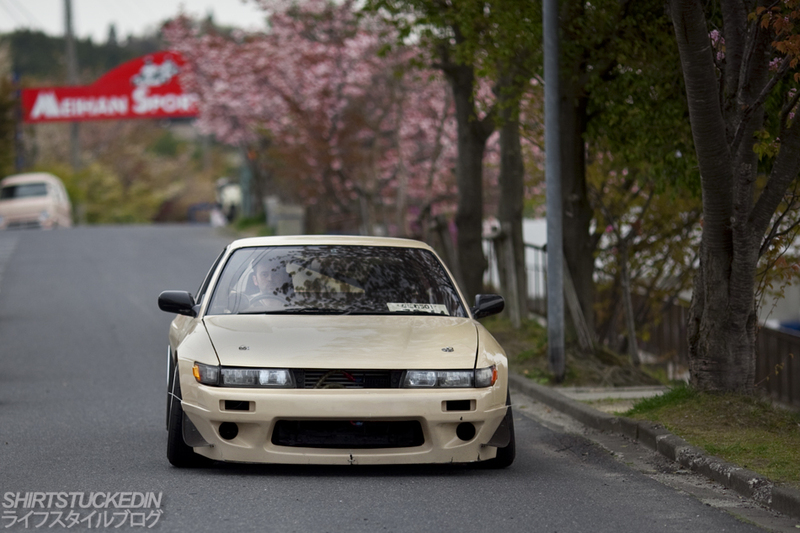 After every drift event we would pack up and then drive the cars back through the cities to our hotels. Here I am riding shotgun with John Dollison after the day at Motorland Suzuka. 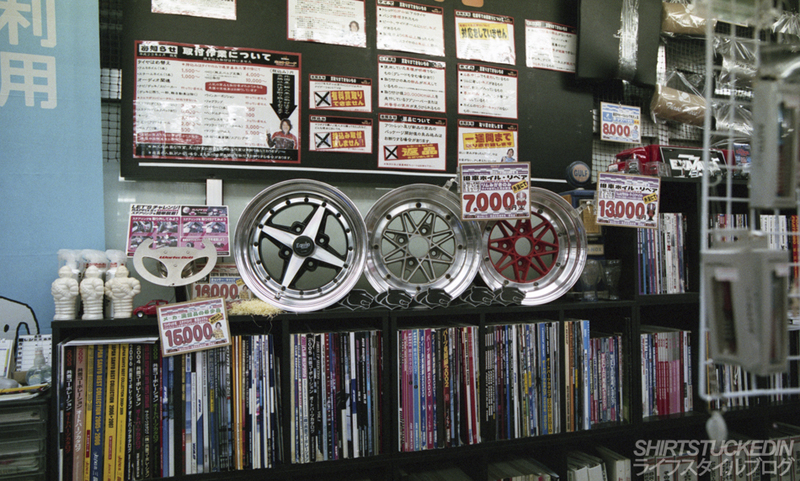 We then dropped in to downtown Suzuka at a couple of shops such as Super Autobacs and Hot Road. Hot Road was probably one of the coolest little shops I’ve been in. 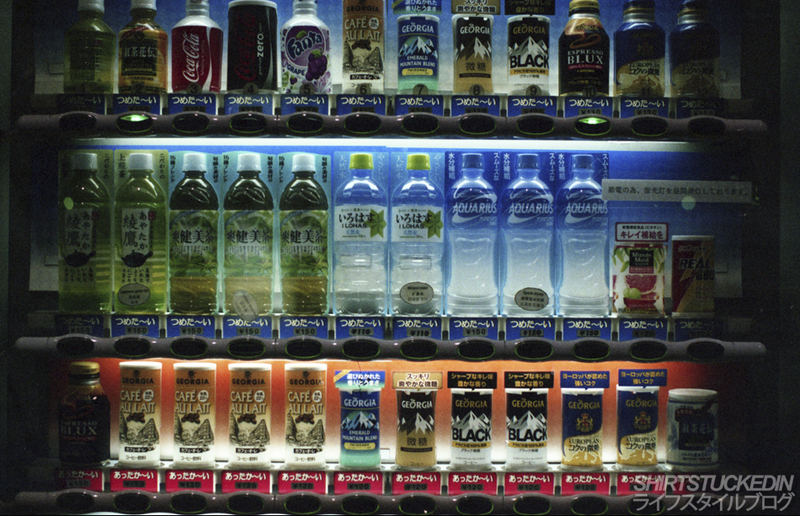 Here is a photo behind the counter of some Work 01’s, and 03’s. I want to go back so badly!